In dealing with the law, there are two special groups that are of special concern to us – nonresidents and legal green card holders. Because of your immigration status, the issues are more complex since you have to face both criminal and immigration consequences. The possible legal penalties if you are arrested can be harsh, so we strongly urge people to get immediate legal advice before entering a plea in a Michigan court of law. If you are living in the United States as a permanent resident or immigrant and you are arrested and charged with a crime, then you could face serious consequences. A criminal conviction can put you in removal proceedings. According to estimates, the number of deportations from the United States is expected to increase to more than 400,000 every year. This may also affect the ability of the permanent resident to obtain citizenship through naturalization. The requirements for becoming a citizen are very strict and having a record could make it nearly impossible for them to be eligible. The United States Supreme Court thought it was important enough to make the following statement in giving their decision on the importance of a noncitizen giving a guilty plea when represented by legal counsel. The Court ruled that an attorney representing a noncitizen must inform the accused that should they enter a guilty plea before a court, the admission could result in deportation. According to the court record, Padilla claimed that his attorney “told him not to worry about deportation since he had lived in this country so long.” Padilla had lived in the United States for more than 40 years. Being arrested does not mean the person will immediately be deported. There are several ways to appeal a decision made by an immigration officer or judge. What needs to be understood is that once you enter the legal system, competent and adequate legal representation is a must. The proceedings can be confusing and not knowing how to work within the system can result in a permanent and irreversible decision against you. Not all lawyers or law firms are equal in their knowledge of the law. 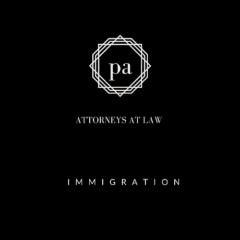 Because of the severe consequences you may face if convicted, you will need an experienced immigration attorney that will make sure you remain in the United States. The attorneys at Pastor & Deromemaj understand the severity of this situation and have successfully handled numerous criminal immigration cases. Pastor & Deromemaj counsels noncitizens involved in criminal proceedings and works with clients to minimize the legal consequences of their actions. Whether currently involved in legal proceedings or the result of the proceedings has been a criminal conviction, we are available to help protect your immigration status. To find out what your best options are, contact us immediately.